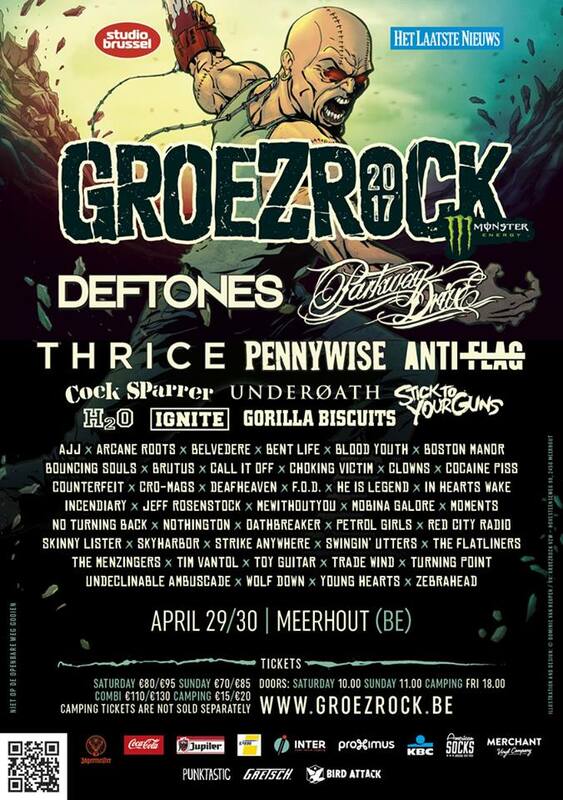 Belgium’s punk and harcore festival Groezrock has announced it’s acoustic sessions at the American Socks stand. Joe McMahon, The Flatliners, Red City Radio, and Tim Vantol will be playing the smallest stage on the festival site amongst others. For the full line-up as well as the times they are playing, please read on. On both days of Groezrock, the American Socks stage will be hosting several acoustic performances. Keep in mind, that the tent is quite small, so if you want to make sure to see one of the bands, be early. If you have not got your tickets yet, get them here. This entry was posted on Wednesday, April 26th, 2017 at 5:08 PM	and tagged with Aaron Gillespie, acoustic sessions, American Socks, Arcane Roots, Boston Manor, F.O.D., Forever Saturday, Groezrock, Groezrock Acoustic, Joe McMahon, Mobina Galore, Punk Rock Karaoke, Red City Radio, The 101's, The Flatliners, Tim Vantol, Zebrahead and posted in News. You can follow any responses to this entry through the RSS 2.0 feed.